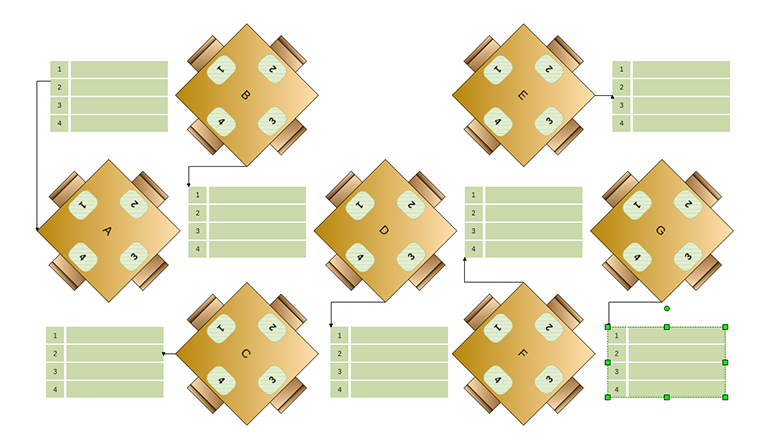 This template represents a restaurant salon with square tables. It can be very helpful when trying to plan your personal event, such as any kind of anniversary, baby shower, etc. that will be held in a restaurant. Download this free template and edit it in Nevron Draw to customize it according to your needs.